The following are court results for the Observer area from Hastings Magistrates’ Court from August 16 - August 31. Sam Erridge (aged 23), of Farley Bank, Hastings, pleaded guilty to being in possession of a quantity of cocaine. The offence took place at Halton Place, Hastings, on July 27. The court made a community order with a requirement of a 12 week, electronically monitored curfew between 8pm and 7am. John Larkin (aged 29), of no fixed address, pleaded guilty to stealing six pairs of Rayban sunglasses from Vision Express, in Priory Meadow, Hastings, on July 29. He also pleaded guilty to stealing fragrances worth £198 from Debenhams, Hastings, on August 1. In addition, he pleaded guilty to stealing three bottles of Pimms, worth £36, from Co-op, in Battle Road, St Leonards, on August 8 and to stealing three Yankee candles, worth £60 from Flibbertigibbet, in George Street, Hastings, on August 10. He was sentenced to a total of 16 weeks in prison for the offences. Magistrates said the reason for the prison sentence was his record of similar offending and the high value of the items stolen. Luke Howarth (aged 18), of Sedlescombe Road, St Leonards, pleaded guilty to assault by beating. The offence took place at The Green, St Leonards, on May 8. He also pleaded guilty to resisting a police officer on the same date. He was found guilty, after not guilty pleas, of being in possession of a knife in a public place and of using threatening behaviour. These offences also took place at The Green on May 8. The court made a community order and ordered him to pay a total of £50 in compensation. Rachael Drinkwater (aged 46), of Bodenham, Hereford, pleaded guilty to being drunk and disorderly at Herbrand Walk, Cooden, on June 25. She was fined £45. Daniel Ramsey (aged 35), of Pevensey Road, St Leonards, pleaded guilty to stealing a bottle of Jack Daniels worth £20, from Morrisons, at Hastings, on June 25. He also pleaded guilty to stealing cosmetics, worth £30.04, from Boots, St Leonards, on July 6 and stealing steak, worth £21, from Co-op in London Road, St Leonards, on July 11. The court made a community order with a drug rehabilitation requirement and ordered him to pay £51.04 in compensation. Dawn Harmer (aged 41), of Amherst Road, Bexhill, pleaded guilty to stealing a necklace and pendant. The offence took place at Bexhill between December 1 and December 9 2015. She was given a 12 month conditional discharge. Michael George (aged 31), of no fixed address, pleaded guilty to driving a Peugeot car on Churchwood Drive, St Leonards, on August 8 without insurance. He was fined £120 and his driving record endorsed with six penalty points. Ben Judges (23), of St Helens Road, Hastings, pleaded guilty to stealing a body-worn video camera, belonging to Sussex Police and to obstructing a police officer. The offences took place at Robertson Street, Hastings, on August 7. He also pleaded guilty to being in possession of a quantity of cocaine on the same date. He was given an 18 month conditional discharge. Jodie Oprey (aged 21), of Blackman Avenue, St Leonards, pleaded guilty to assaulting a police officer. The offence took place at Havelock Road, Hastings, on August 7. She was given a six month conditional discharge and ordered to pay £25 compensation. Ricardo Lara (aged 19), from Richmond on Thames, Surrey, pleaded guilty to common assault. The offence took place in Hastings on August 7. The court made a community order with a requirement of 80 hours of unpaid work and ordered him to pay £100 in compensation. Charlotte Soloman (aged 22), of St Helens Road, Hastings, pleaded guilty to obstructing a police officer. The offence took place at Robertson Street, Hastings, on August 7. She also pleaded guilty to being in possession of a quantity of cocaine on the same day. She was given a six month conditional discharge and fined £167 for the drugs offence. Jake Brewster (aged 22), of Elphinstone Road, Hastings, pleaded guilty to assaulting a police officer and to being in possession of a quantity of cannabis. The offences took place at Hastings on August 12. He was fined a total of £225. April Butler (aged 20), of Beckton, London, pleaded guilty to being in breach of a non-molestation order imposed by magistrates. The offence took place at Hastings on August 9. She was given a six month conditional discharge. Adam Quinn (aged 32) of Pleyden Rise, Bexhill, pleaded guilty to failing to provide a breath specimen when required to do so by police. 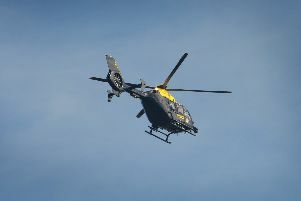 The offence took place at Bexhill on August 10. He was fined £623 and banned from driving for one year. Sean Wallis (aged 27), of Ashford, Kent, pleaded guilty to driving a BMW vehicle on The Bourne, at Hastings, on August 3, while over the drink-drive limit. He gave a breath alcohol reading of 75 microgrammes. The legal limit is 35mg. He was fined £576 and banned from driving for 18 months. Lukus Hilton (aged 26), of Edwin Road, Hastings, pleaded guilty to driving a vehicle on Upper Park Road, St Leonards, on August 13, while over the drink-drive limit. He gave a breathe alcohol reading of 98 microgrammes. He was fined £500 and banned from driving for two years.